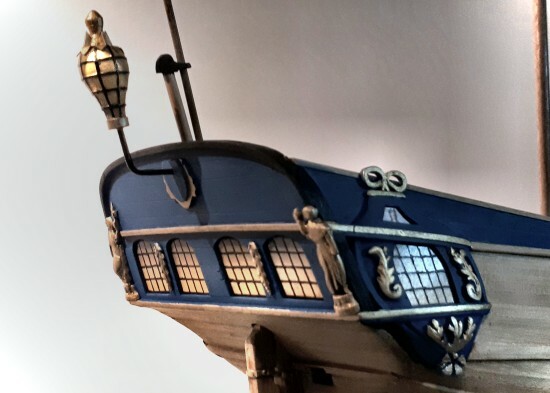 Blackbeard's 'Queen Anne's Revenge' stern and quarter galleries shown above. 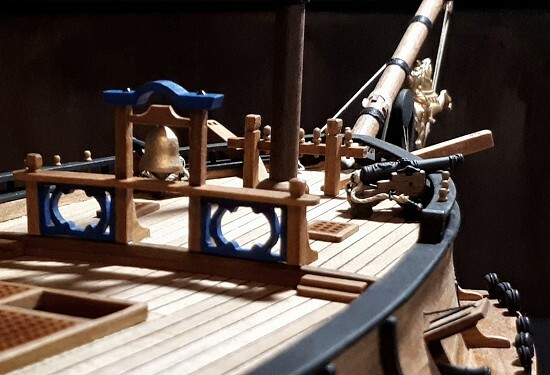 Construction of the fo'c'sle shown below, including her belfry, chasers and figurehead. Decorations are typical French continental for the period.